Ready to kick the store-bought frosting to the curb? 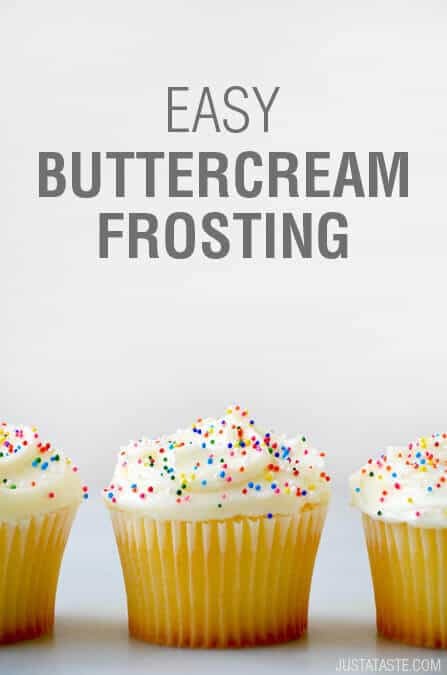 Then tune in below to learn the simple tricks for how to whip up the easiest-ever buttercream frosting with just four ingredients and in 5 minutes or less. Grab the butter and transform your cakes and cupcakes into the ultimate sweet treats, then find inspiration for more easy frosting options by checking out recipes for 5-Minute Marshmallow Frosting, Piped Cream Cheese Frosting and Swirled Frosting. In the bowl of a stand mixer fitted with the paddle attachment, beat the butter until it is light and creamy, about 1 minute. Add the vanilla extract and beat until combined. Add half of the sifted powdered sugar and beat until combined, then add the heavy cream and continue beating for an additional minute. Add the remaining half of the powdered sugar and beat until combined.